* The Pros and Cons of gasoline and diesel engines? 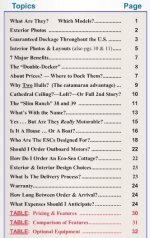 * Any Florida Keys houseboats for sale, or for rent? * Houseboat Gray Water - treat or filter grey water on house boats?